Every December, I send poinsettias to a number of business acquaintances whom I respect. It’s a networking gesture I learned from my dad. Last night I compiled my list of colleagues for this year’s batch. However, this morning I had a change of heart. I decided instead to send flowers to a handful of people who have been there for me at my lowest points this year, talking me through anxiety attacks and debilitating ruminations. It goes like this: a young girl named Maria wanted to make a special gift to present to the Baby Jesus (part of the creche) with the other children at the church celebration on Christmas Eve. She tried to weave a blanket, but her yarns became entangled. Christmas Eve came and she had nothing to give. She decided to fill her arms with weeds from the tall grass outside the church and offer those. When she arrived at the church and saw all the other lavish gifts, she became embarrassed of her offertory. She tried to hide behind a pillar, but the priest saw her and invited her forward. When Maria reached the Christmas crèche, she bowed her head in prayer and let the weeds fall out of her manto. “Look at those glorious flowers!” cried the crowd. Now each weed was topped with a vibrant red star. Even the ones outside. Maria’s love had created a miracle. The story has significance for those of us mired in anxiety and depression. While all we see right now is our failures and the bleakness of our situation, our sadness is but a chapter of an unfolding story with a hopeful ending. The ugly weeds we hold in our hands will undoubtedly become something beautiful if we persevere with courage through this darkness. I wish I could send flowers to all the readers that have inspired me with hope the last few weeks. I’m sending a virtual poinsettia to you all. And a virtual gift back to you Therese! Thank you for continuing to inspire hope and trust and gratitude during this very holy (yet chaotic and stressful and, sometimes sad season). Thank you. You have been a HUGE Blessing to me over the years. Thank you Dear friend. I pray that you will be Blessed for all you generously give. I’ve always loved this Children’s Story, I need to buy it for my grandchildren. Loved this post. 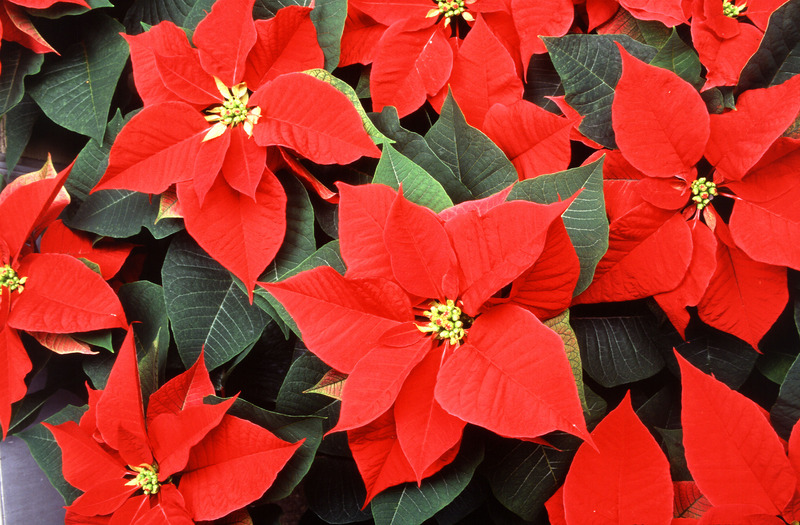 Sending a virtual poinsettia to you as well. Thank you for your emails, I find them so encouraging. I hope you are practicing self compassion and have peace. While you might find this hard to believe you are the star among the weeds. You have helped me to better understand my son who suffers greatly with bipolar. I love the way you write, I am greatful every day that you are alive. May God bless you always. Thank you for the beautiful “poinsettia”! And I don’t even have to water it to keep it alive!!! Thank you for this beautiful story. I am in a very dark place, and this gave me a spark of hope.